And while unemployment inched up - the Gross Domestic Product showed encouraging growth in the first quarter of 2018. It’s only 1.8%, but for the past two years, first quarter GDP growth has been less than 1%. 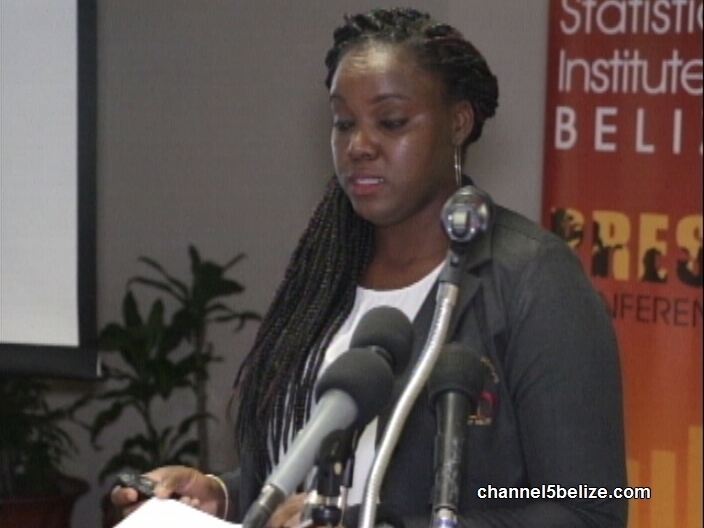 SIB Statistician Angelita Campbell explained that the tertiary or service sector, mainly tourism, fuelled economic growth:..
"Belize produced goods and services totaling 756.9 million dollars indicating an increase of 13.1 million or 1.8 percent when compared to the same period of last year. The primary industry which accounts for almost one-tenth of the country's economic activity decreased by 10.9 million dollars or 11.9 percent. Within this sector we have agricultural hunting and forestry going down by 8.2 percent or 6.7 million dollars. 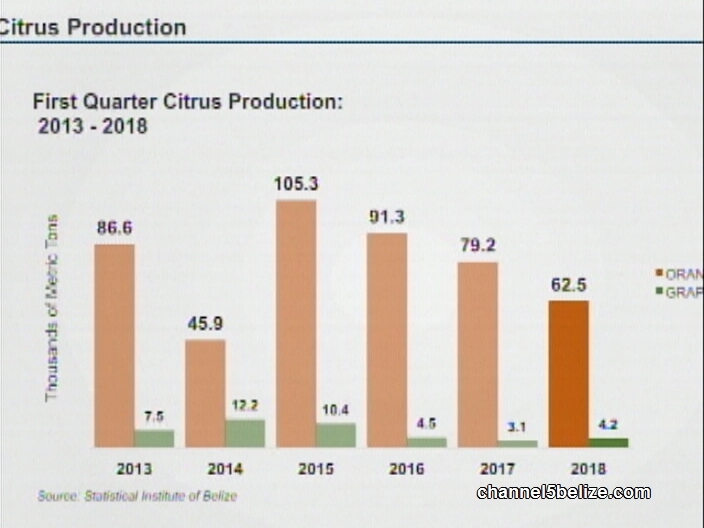 We see the sugar cane production going down by 4.6 percent as a result of factory down time while we have citrus and banana going down by 19.3 percent and 19.5 percent respectively. Fishing also went down by 44.3 percent or 4.2 million and this is seen in 290 thousand less pound of shrimp being exported, 90 thousand less in conch being exported and 100 thousand less in pounds of whole fish being exported." 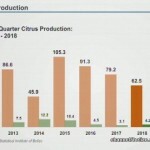 "Now we're looking closer at the beverage production, as stated before beverage went down by 7.4 percent and this can be seen in a 16.5 percent drop in soft drinks production which is largely due to competition from imports and market demand. We see beer production going down by less than 1 percent and this was strictly due to market demands. 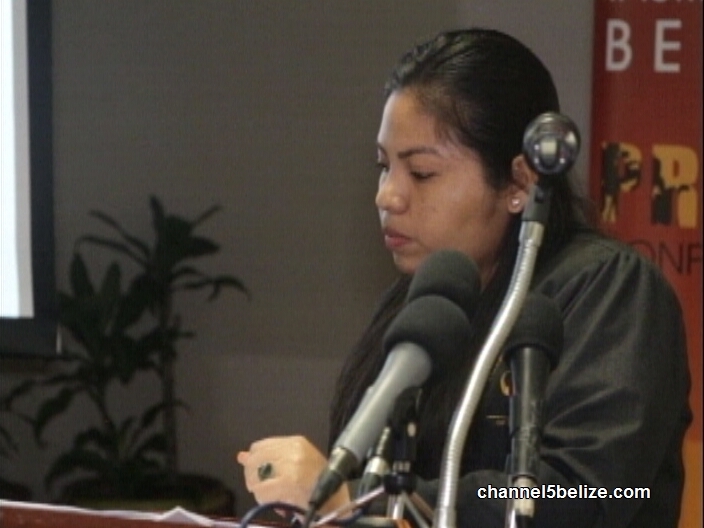 The tertiary industry which accounts for more than half of Belize's total economy increased by 20.3 million or 4.6 percent. Within the tertiary sector we saw hotel and restaurant industry increasing by roughly 20 percent or 6.6 million. Within the same sector we have overnight visitors actually going up by 22.5 percent, cruise visitors going up by 4.6 percent and room revenue also went up by 33.5 percent." The unemployment figure for April 2018 were released today - and they show that unemployment is up slightly when compared to April of 2017. It has increased from 9% to 9.4. 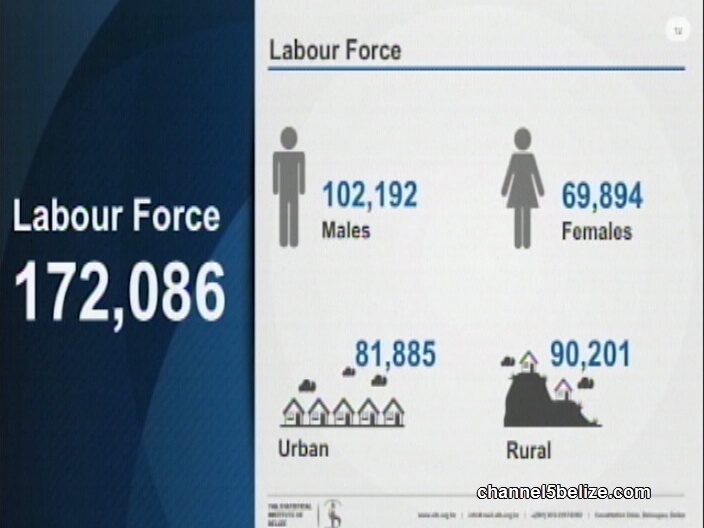 That means over 16 thousand Belizeans are unemployed - 1,300 more than a year ago. "The rise in this area was as a result of more persons joining the labor force and jobs being created. Over 5,800 more jobs this year, this was especially seen in the Cayo and Toledo Districts The district with the lowest level of unemployment was Corozal at 5.6% experiencing increases in the employment in the service sector." As you heard, Corozal had the lowest unemployment rate, while Cayo had the highest at 13.6%. Labour Force surveys are conducted in April and September - typically, unemployment is higher in September because there’s less seasons employment from tourism. "The inflation rate for the month of May 2018 stood at 0.3 percent, meaning that on average prices were 0.3 percent higher than they were in May 2017. 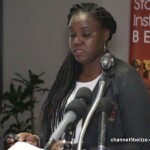 Across all municipalities Orange Walk Town reported the highest positive increase at 1.8 percent while Dangriga reported the biggest decrease at negative 2.3 percent. Orange Walk Town’s increase was mainly attributed to higher fuel and food costs while Dangriga's negative rate was due to lower rent cost. 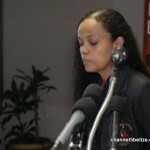 When we look at Belize compared to some of the other countries in the region, our inflation rate is 0.3 percent, Guatemala is at 4 percent, Honduras 3.9 percent, Nicaragua 5.3, Costa Rica is at 2, Jamaica at 3.1 and Dominican Republic at 4.5." 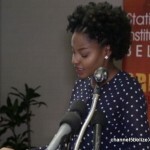 The was the Statistical Institute’s quarterly press conference and it was held at the Central Bank Conference Room. Latest statistics show a mixed bag in the cost of living. Prices for goods and services went up slightly in May of this year when compared to the same period last year. Consumers also felt a pinch in their pockets due to transportation costs which resulted from a rise in prices for fuels and lubricants. But consumers paid less for meats, some fruits and vegetables. 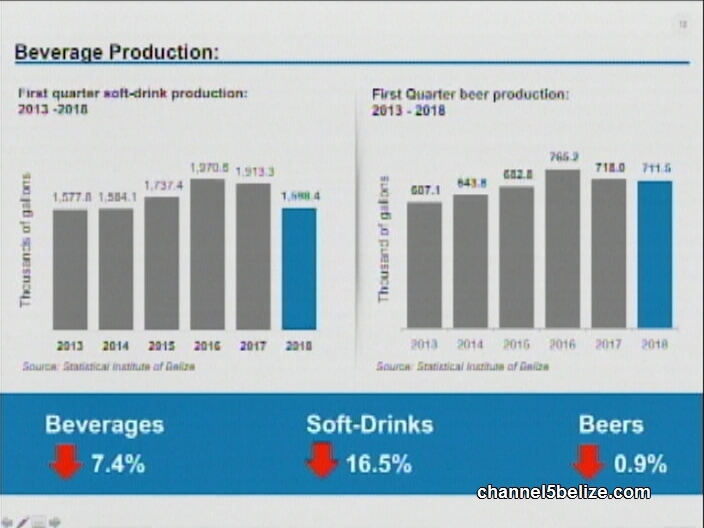 Today, the Statistical Institute of Belize released the latest consumer price index, gross domestic product and external trade bulletins which delve into economic activities in Belize in May 2018 when compared to May of 2017. News Five’s Andrea Polanco shares some of the highlights of the statistical report in the following story. For the first quarter of 2018, Belize produced goods and services of seven hundred and fifty six point nine million dollars – increasing by one point eight percent or thirteen point one million dollars over the same period of last year. According to the SIB, the GDP has been steadily increasing over the years. The primary industry saw a decrease in economic activity of almost twelve percent or close to eleven million dollars, most notably in agriculture and fisheries sectors. The secondary industry also experienced a marginal decrease in production of about two hundred thousand dollars, largely due to mining and manufacturing which was recorded in sugarcane production. The tertiary industry, of tourism, communication, transport and other Government services, however, saw remarkable growth of about twenty million dollars or just over four and a half percent. 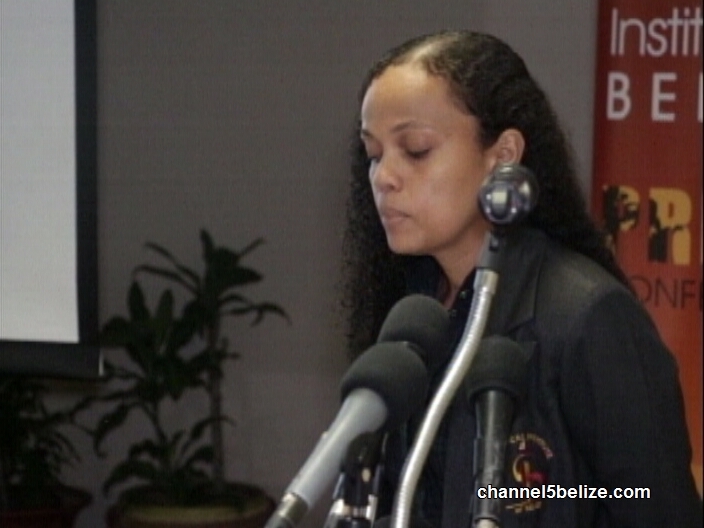 And how much did Belizeans pay for these goods and services? According to the S.I.B, the prices went up marginally. 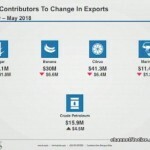 For the external trade bulletin, imports are up by three point one percent or and exports are down by twenty point two percent for May 2018. 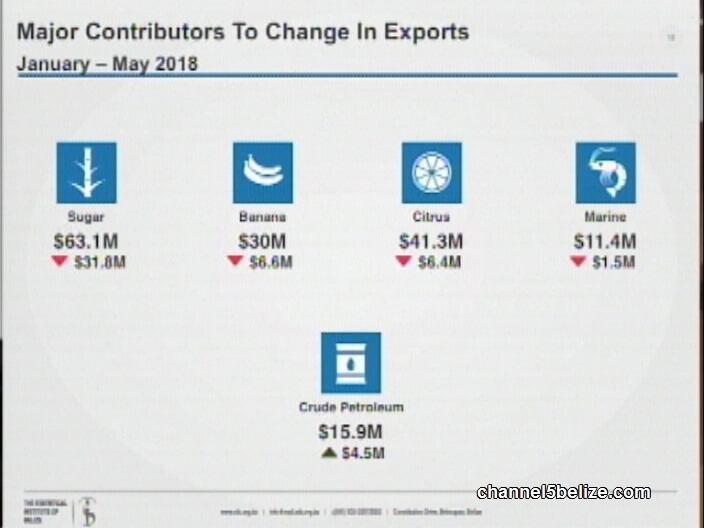 The increase in imports is largely due to the higher world market prices for fuel and significant losses in export earnings from sugar resulted in the primary cause of decrease in exports. 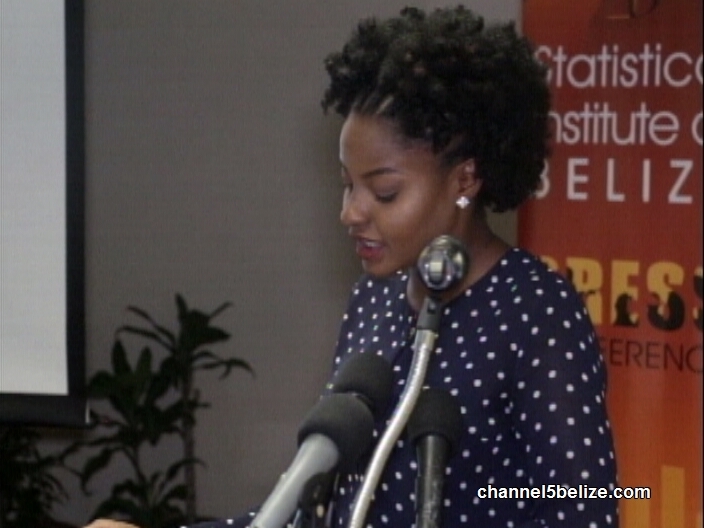 Preliminary findings from the April 2018 labour force survey carried out by S.I.B. shows that the country’s unemployment rate increased by a marginal zero point four percent, so when compared to last April’s nine percent, the unemployment rate now stands at nine point four percent. According to the S.I.B., this resulted from an increase in unemployment rate in the Cayo and Toledo districts where persons were joining the labour force at a faster pace than at which jobs were being created. The latest stats show that the total number of employed persons in April stands at one hundred and fifty-five thousand nine hundred and fifty and just over sixteen thousand persons are unemployed. The survey also shows that more women were joining the labour force when compared to last year, however, men still account for sixty percent of those employed. 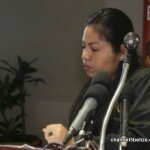 Wendy Benavides of the S.I.B breaks down the numbers.